Honda Cars India is set to unveil an all-new Honda Amaze at the upcoming 2018 Auto Expo in February. The 2018 Honda Amaze will be showcased in an all-new avatar for the first time since its launch in India in 2013. The sub-4m Honda Amaze had last received a facelift in 2016, but the 2018 generation promises to be more desirable as it takes on segment leader Maruti Suzuki Dzire as well as the Ford Figo Aspire and Hyundai Xcent. This may well be the first time a Honda car makes its global debut at the Auto Expo. The compact sedan segment runner also had the distinction of being the first diesel Honda in India, when it was originally launched. While there has been a shift to compact SUVs and crossovers in recent years, Honda looks to up the luxury quotient with the new Honda Amaze. 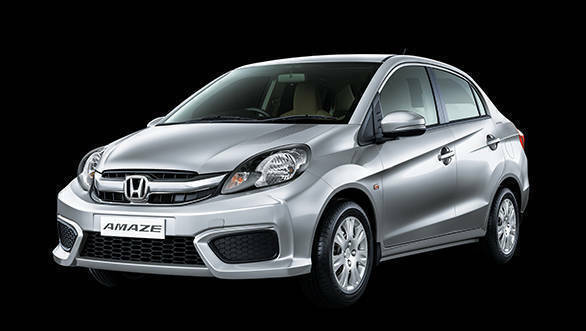 The biggest change to the Honda Amaze will come in the form of an exterior design inspired by its larger cousin, the Honda City. With the 2018 generation, Honda aims to repackage the Amaze such it liberates more interior space while retaining the sub-4m dimensions, which will mean a revision of the current platform. In addition, it will come loaded with more features to rival the 2017 Maruti Suzuki Dzire, including a touchscreen infotainment system, and restyled interiors for a more plush feel. The Amaze is expected to go on sale in the country shortly after its Auto Expo debut, and will be priced marginally higher than its current iteration. However, it will retain the 1.2-litre petrol and 1.5-litre diesel engines, as well as the the 5-speed manual and CVT gearbox options in the new generation.